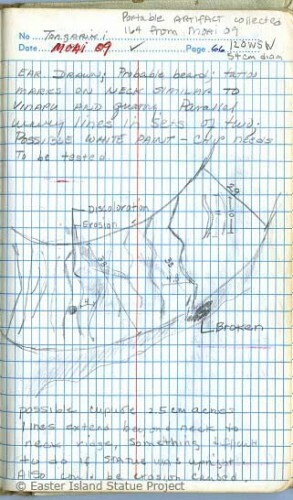 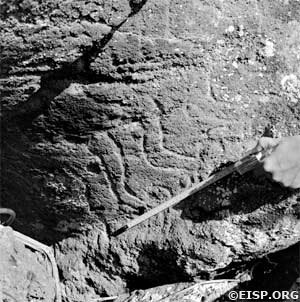 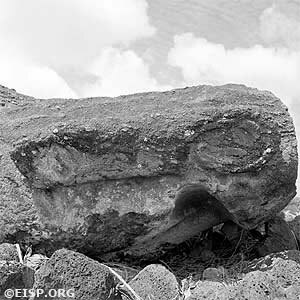 Some interesting field notes and documents from the EISP Archives. 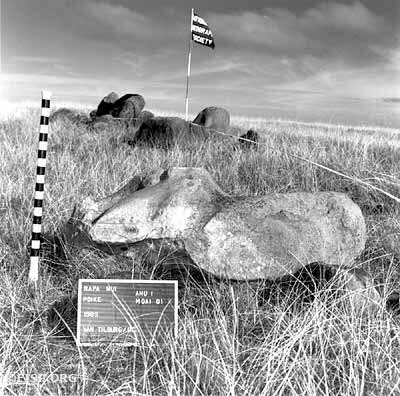 Click on images for a larger view. 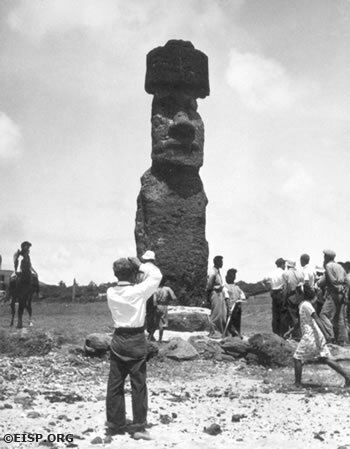 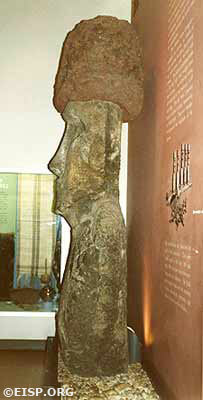 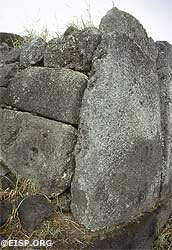 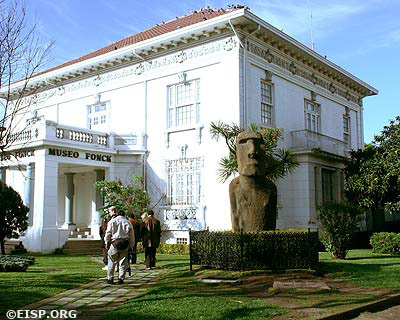 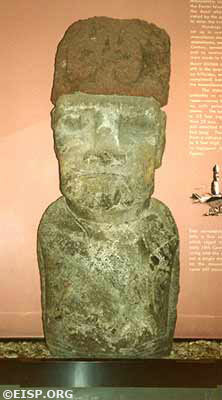 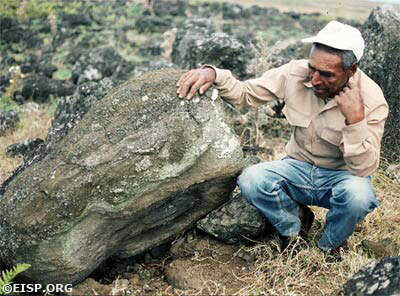 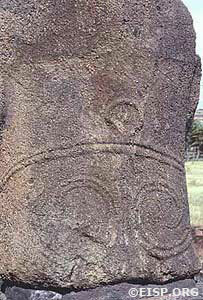 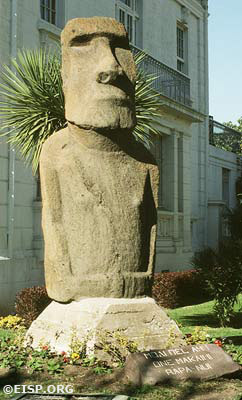 Moai Paro (30-220-001) is the tallest (989 cm) statue ever successfully raised upright on a ceremonial platform. 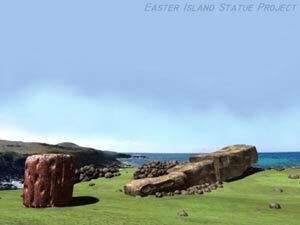 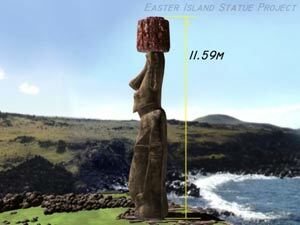 It weighs approximately 82 m tons and wore a red scoria pukao (30-220-004) that added another 11-12 m tons of weight to the statue. 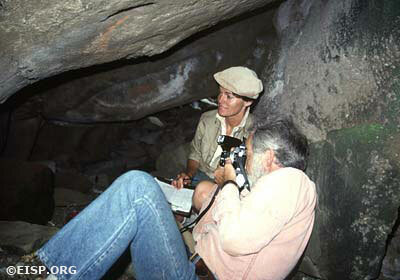 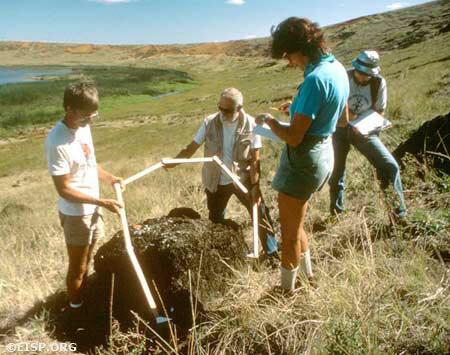 Previously investigated by C. Smith and W. Mulloy, we documented it first in 1984 and 1991. 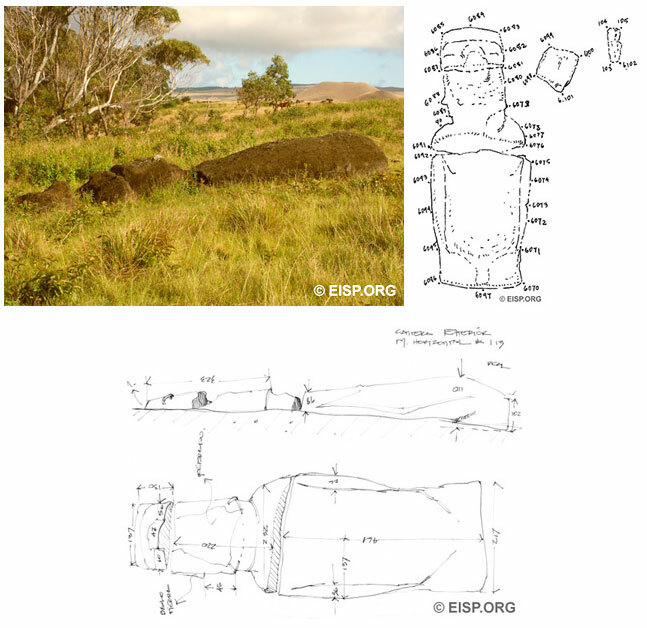 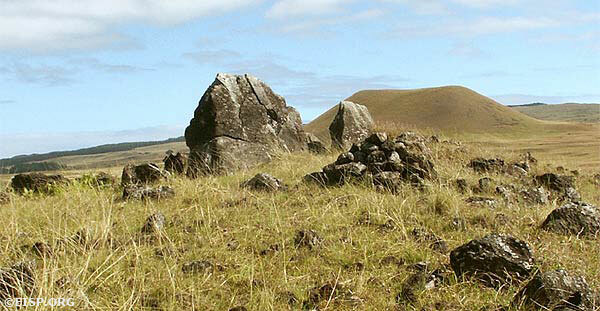 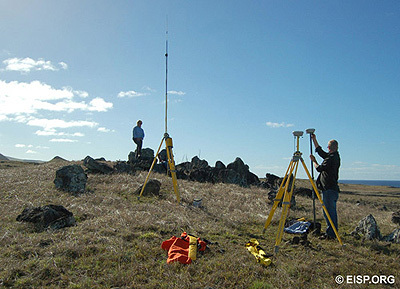 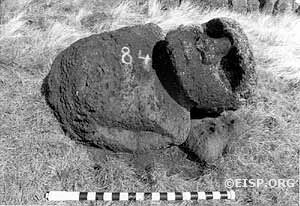 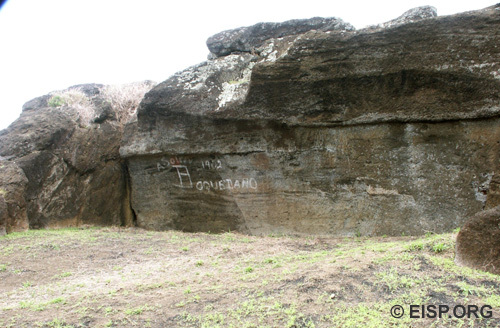 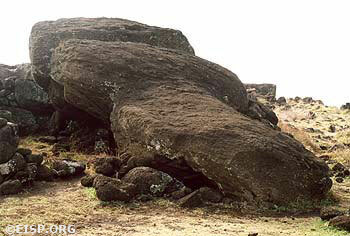 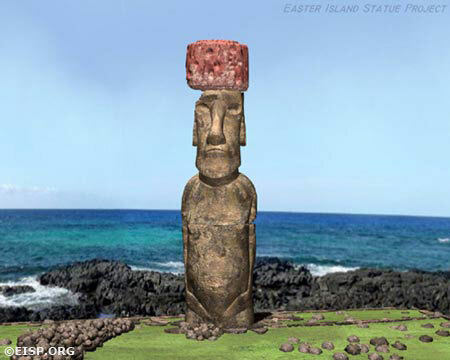 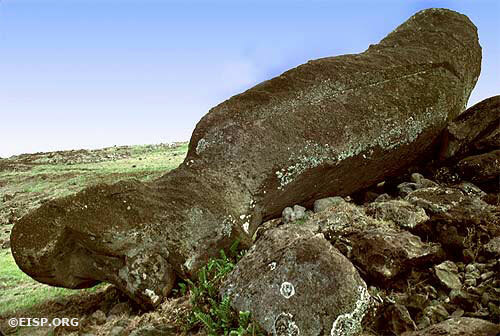 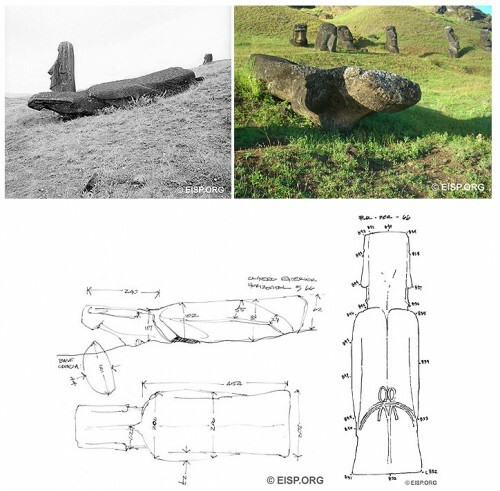 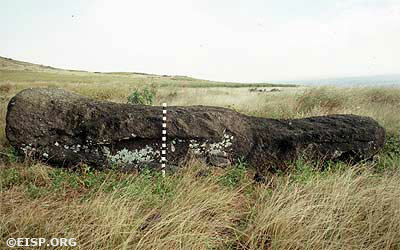 In an effort to better understand Moai Paro in the context of Ahu Te Pito Kura and its natural environs, in 1999 and 2000-2002 we digitally reconstructed the statue using photographs, measurements and detailed drawings. 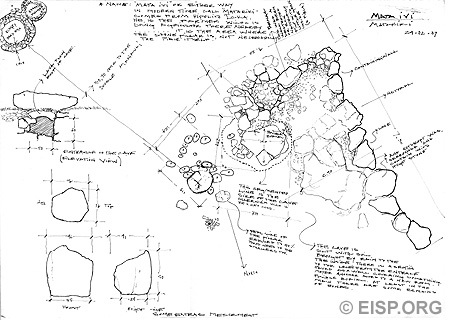 On-site documentation required for this work was carried out by Cristián Arévalo Pakarati. 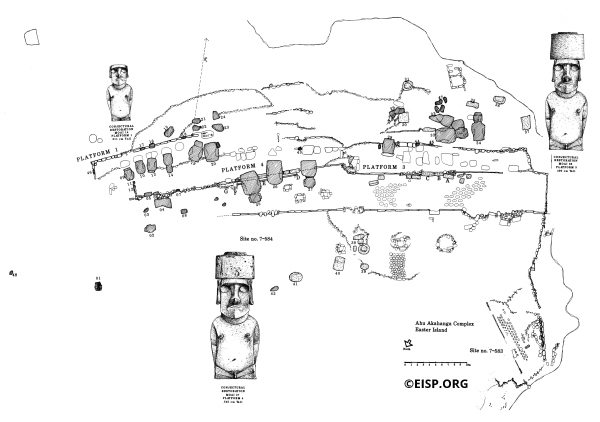 Distribution of monolithic statue sites relative to Routledge’s (1919) kin group divisions. 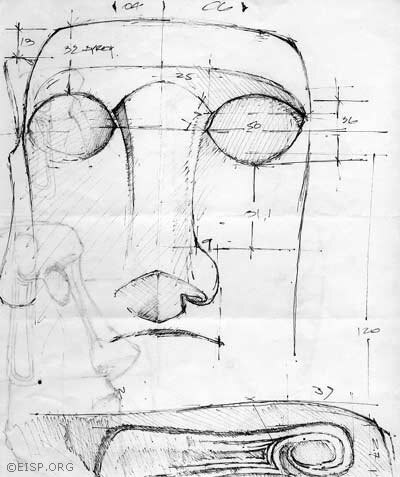 Computer drafting by Gordon Hull. 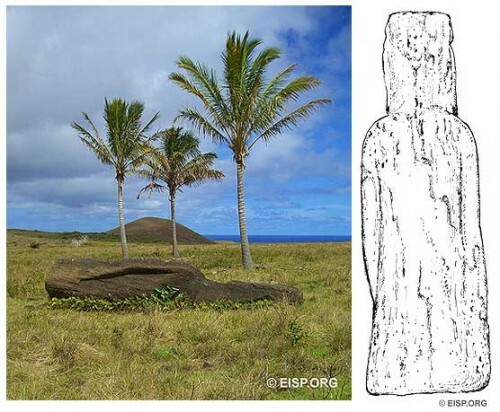 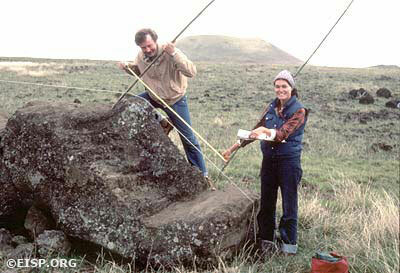 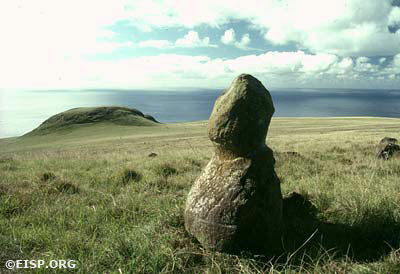 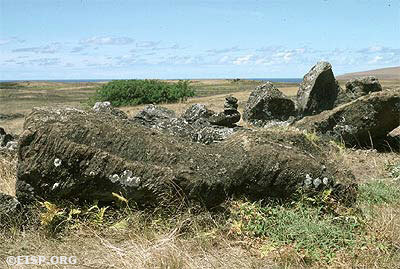 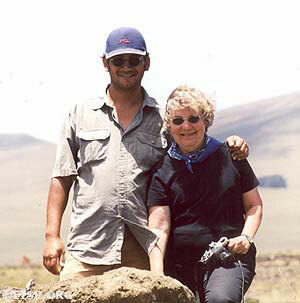 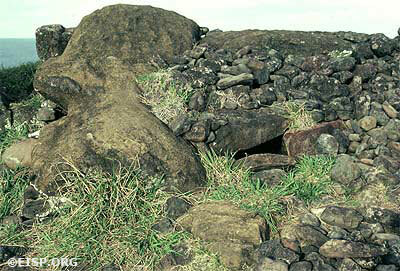 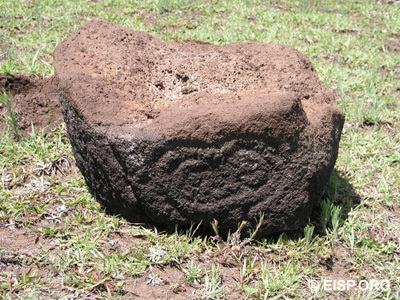 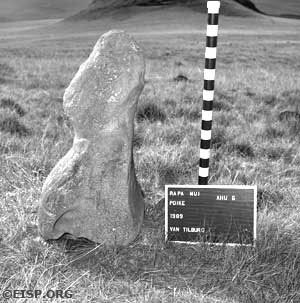 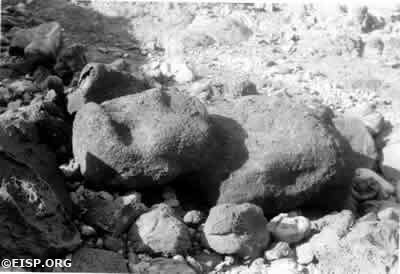 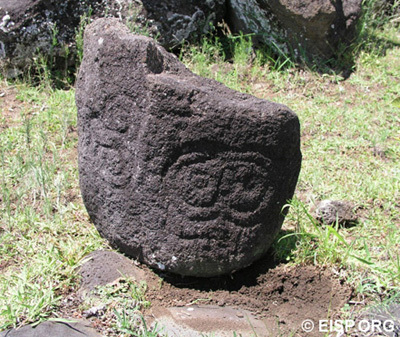 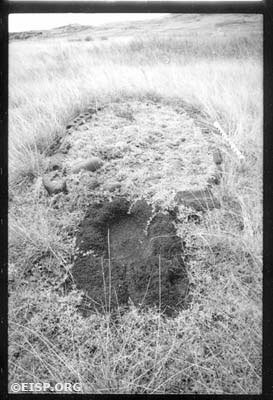 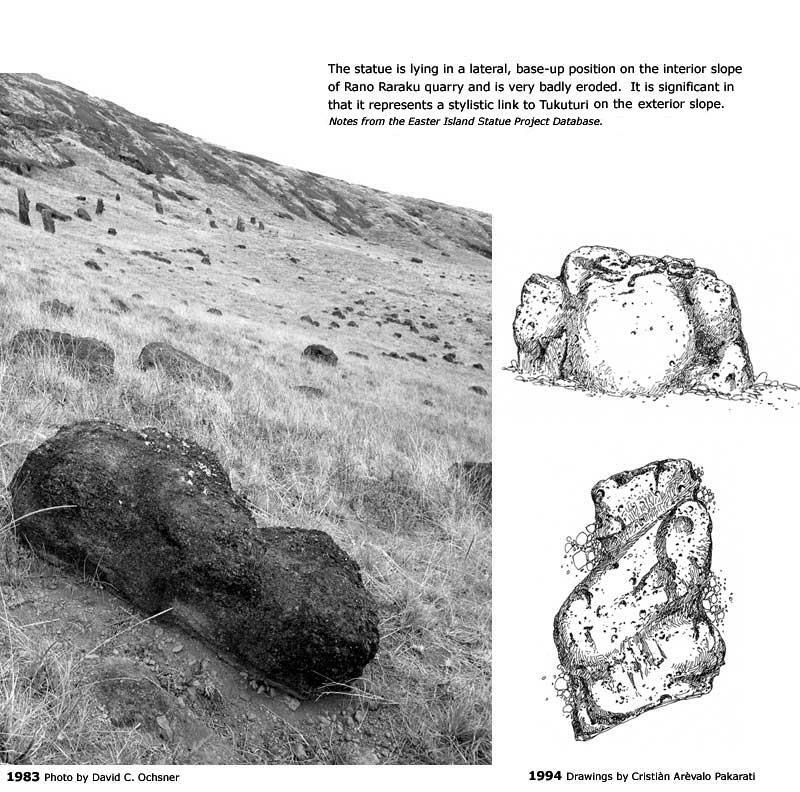 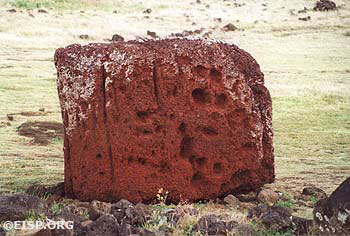 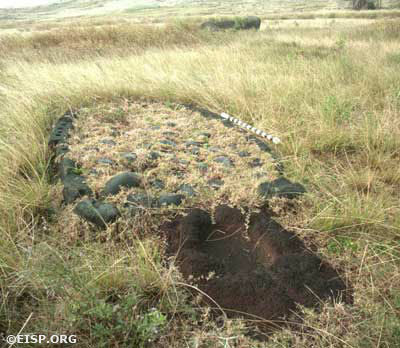 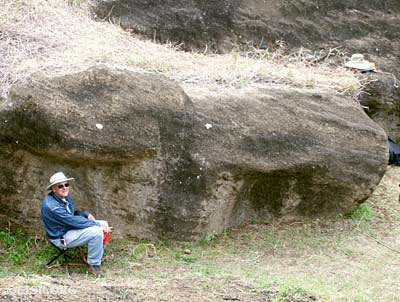 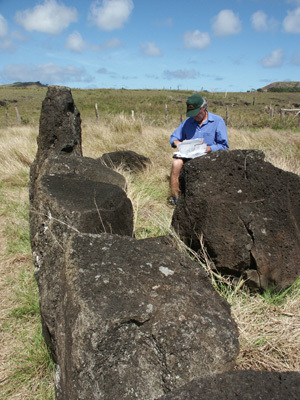 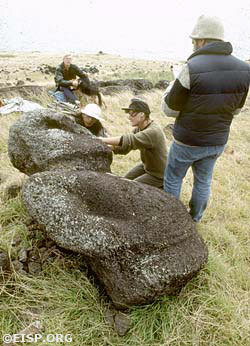 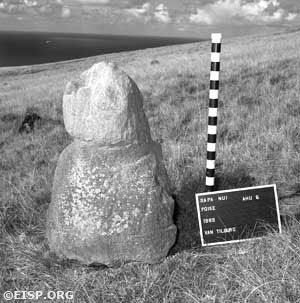 From Easter Island Archaeology, Ecology and Culture by Jo Anne Van Tilburg. 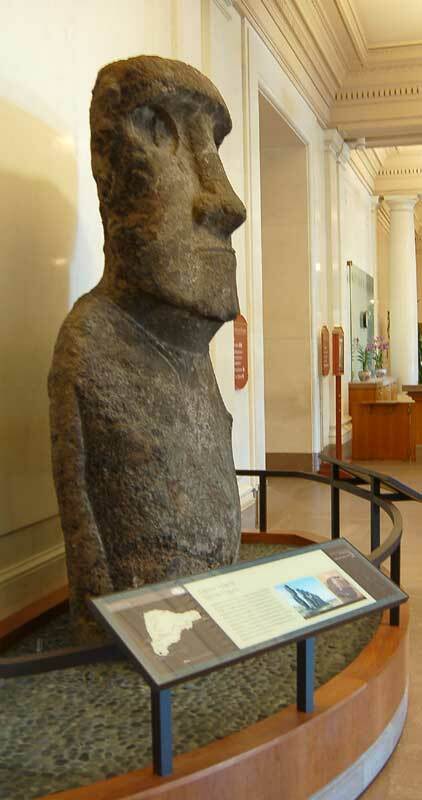 London: British Museum Press and Smithsonian Institution Press, 1994. 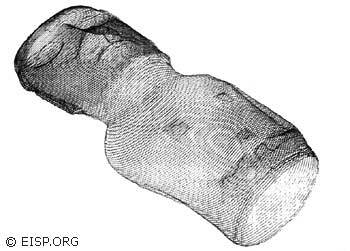 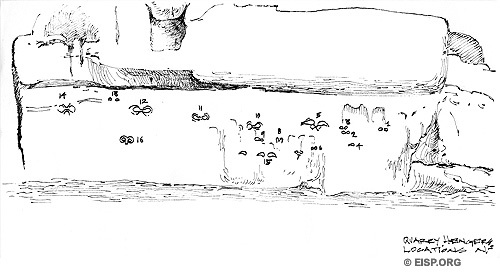 Drawings by Jan Van Tilburg depict our method of raising the statue. 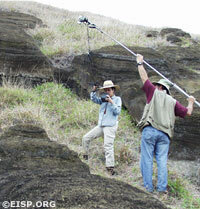 Supervised by Raphael Rapu, this part of the work was jointly directed by Van Tilburg and C. Cristino. 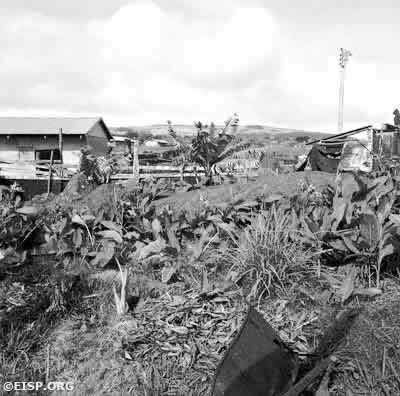 ©1998 EISP/JVT. 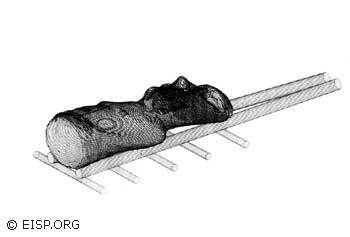 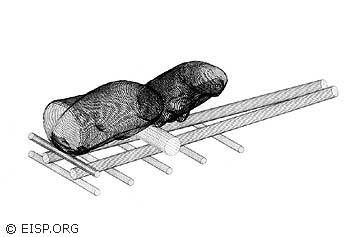 Drawings by Jan Van Tilburg showing the Polynesian canoe ladder, the basic design concept of our statue transport A-frame sledge. 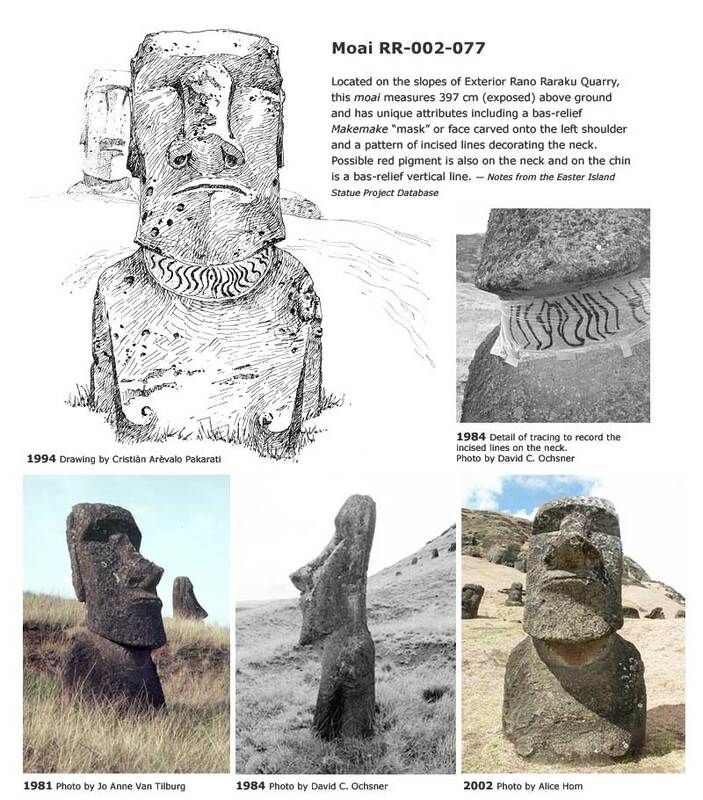 Wire diagrams arrived at after photogrammetric work accomplished at Ahu Akivi depict the statistically average statue used in computer simulations and then in our transport experiment. 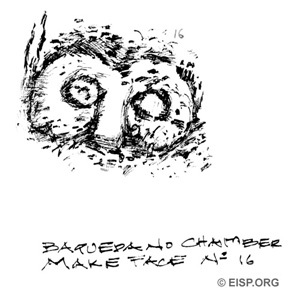 ©1992 EISP/JVT. 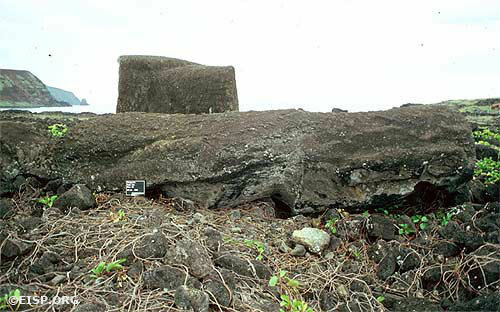 Moai 07-585-001 at the base of a seacliff. 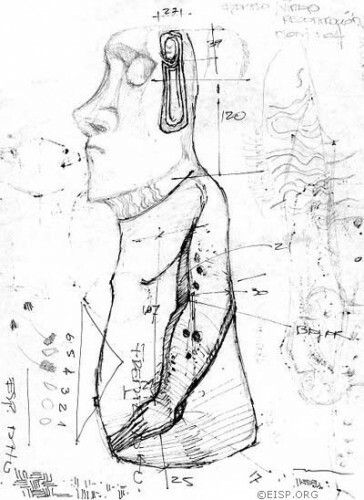 ©EISP/JVT/Sketch: Raul Paoa Ika. 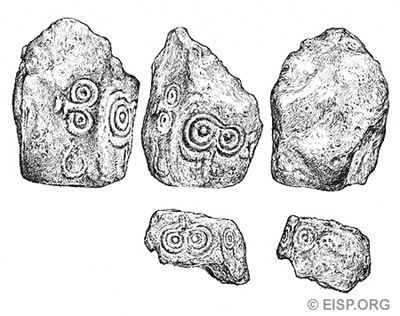 Field sketches of Moai 07-585-001, top of head (upper), base, and front view.